Go in search of icebergs this summer! Nothing says "off the beaten path" quitelike Svalbard, where reindeer roam freely and humans are the exception, not the rule. 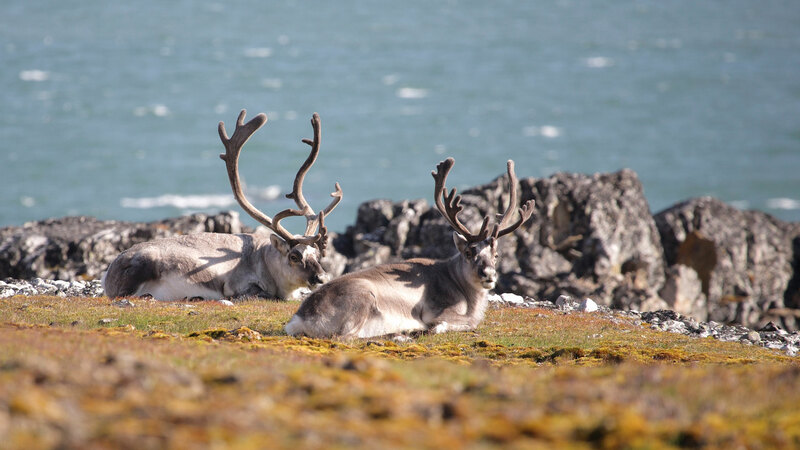 With the expertise of a professional wilderness guide, this tour takes you on a discovery of Svalbard’s unique flora and fauna with hiking excursions and boating safaris in remote Spitsbergen. You will also enjoy accommodation at a former radio station in the beautiful Isfjord along with an unconventional dog-sledding tour and free time to explore the town of Longyearbyen. Arrive at Longyear Airport in Svalbard followed by a shuttle transfer to your accommodation for the night. 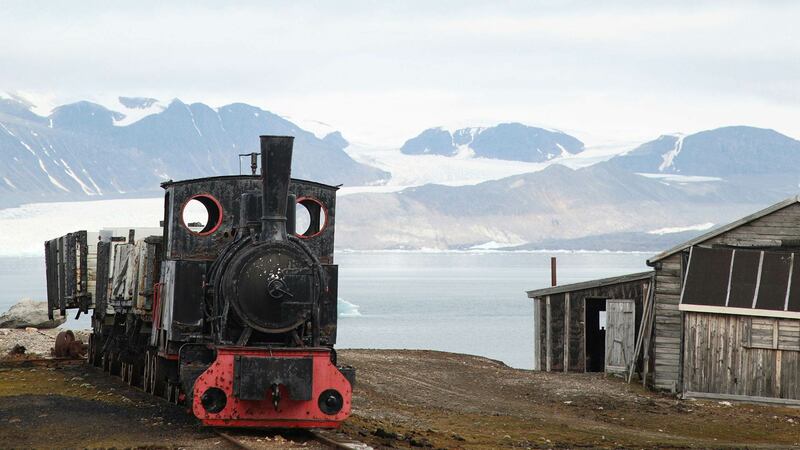 After check-in, the rest of the day is free time to explore Longyearbyen as you wish, perhaps with a visit to the Svalbard Museum to learn more about Svalbard‘s history as a hunting and mining outpost. 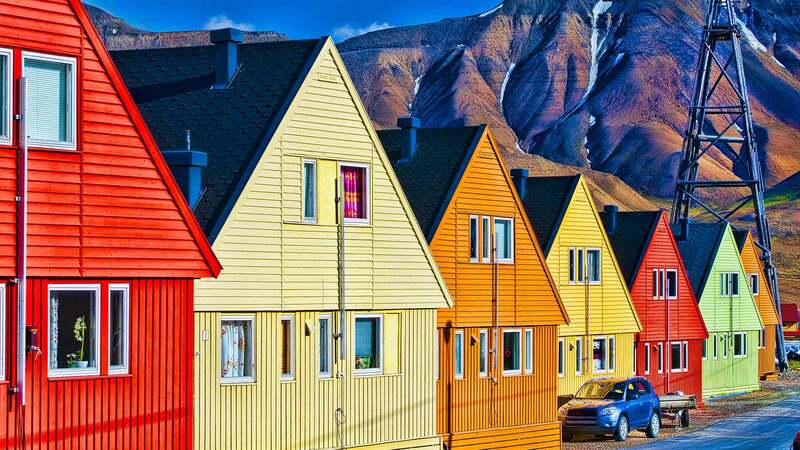 Spend the morning relaxing in Longyearbyen with a stroll around town, a visit to the Svalbard Gallery, a leisurely break at a cafe or a bit of souvenir shopping. In the afternoon it is time for the adventure to begin! Meet with your guide in the morning for a short briefing before we head to the harbour in Longyearbyen where the Polarcirkel boat is waiting to take us to Isfjord Radio at Kapp Linné. On the way, enjoy the fantastic fjord scenery and wildlife sightings as we make a number of interesting stops. Upon arrival, enjoy a superb three-course dinner at Isfjord Radio, a former radio station remodelled as a cosy guesthouse. Spend the night at Isfjord Radio. After a hearty breakfast, it’s time to board the boat for an exciting safari to the west side of the fjord. 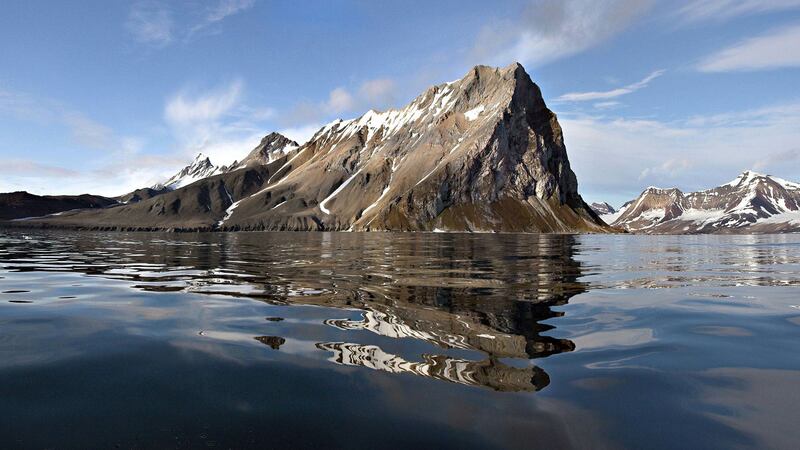 The route takes us along the eastern coastline and across the Isfjorden at Kapp Starostin before heading towards the mighty cliffs of Alkehornet, inhabited by thousands of nesting birds. Upon arrival at Trygghamna, a nice expedition lunch is served at the beach. Then, can take a closer look at the area before boarding the safari boat and heading for the fantastic Esmark Glacier at Ymerbukta. 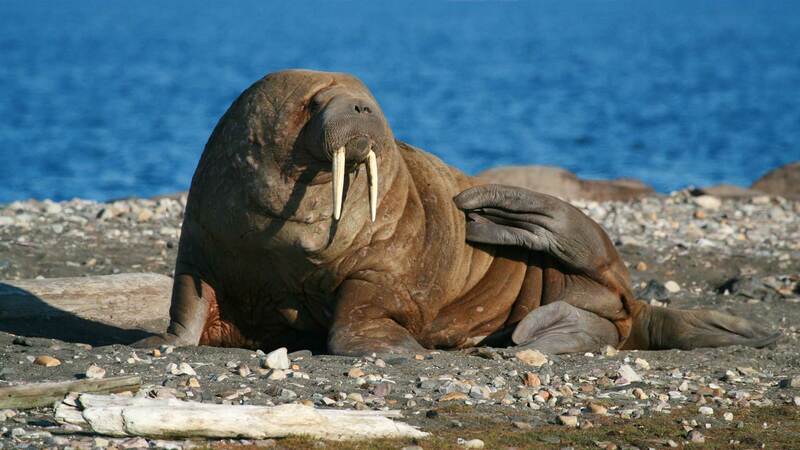 If we’re lucky, we might catch a glimpse of whales, seals, or the “king of the Artic”, the polar bear. In the evening, a wonderful three-course dinner awaits us at Isfjord Radio. Spend another night at Isfjord Radio. Today, you will enjoy breakfast at the hotel before embarking on a new day of adventure. After breakfast, you will bid farewell to Isfjord Radio, and head to the boat, sailing to Grønfjorden and the Russian settlement Barentsburg. Barentsburg is a mining city with approximately 350 residents and it's a fascinating place to visit. You will be led on a guided tour of the town before enjoying a light lunch served in the brewery. After lunch, you will head back to the boat and set course towards Longyearbyen, making several interesting stops along the way, reaching Longyearbyen in the afternoon. You can’t leave the Arctic without first trying a typical Arctic activity like dog-sledding. 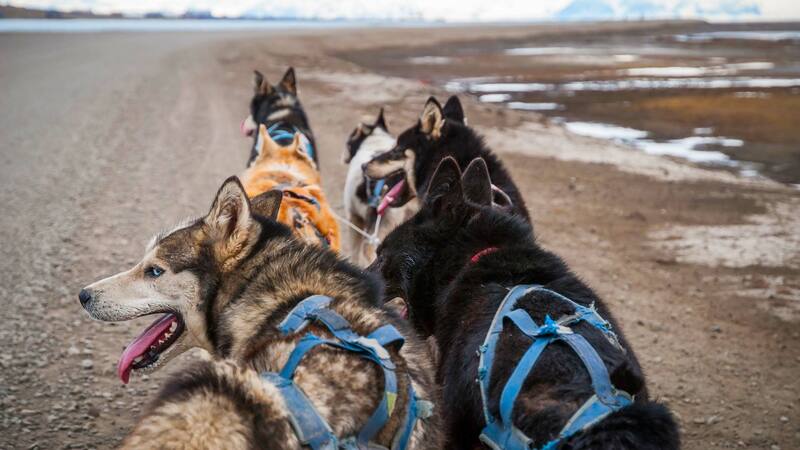 But this is no ordinary dog-sledding tour—this is husky safari on wheels! In the morning, your guide picks you up and takes you to the kennel at the Trapper’s Station in Bolterdalen, where around 90 cheerful Alaskan huskies eagerly await your arrival. After a short lesson on the principles of “mushing”, it’s your turn to harness your team of huskies and go for a ride. After the tour, you are returned to town with time to freshen up before your departure. In the afternoon, take the shuttle bus to Longyear Airport for your return flight to Oslo, from where you will continue to your final destination. I have just arrived back in Canada after an outstanding visit to Spitsbergen and Basecamp Isfjord Radio. Everything has gone very well with my trip including flight reservations, the Basecamp hotel, hotel Spitsbergen and of course the staff at Basecamp Isfjord Radio. It was a fantastic visit and I was very sorry to leave. Spitsbergen is a very beautiful place and I hope to return someday. I also very much enjoyed spending a few days in Oslo - you have a great country and I very much enjoyed my stay there as well. On a personal note, I also want to especially thank Line Natten Espeland especially for all her hard work in organizing my itinerary on such short notice. I really appreciate the effort she put into it. Thank you so much! We loved staying at the Basecamp Trapper's hotel. The place was really interesting and the staff very nice. We pass along a special thanks to Lise at the hotel for her exceptional customer service and friendly personality. We also enjoyed the trip to Isfjord Radio, our wonderful guide Harri, and the great meals they served. Our 2 hour maxibus trip around Longyearbyen the day we arrived was a good introduction to the area. We made 2 changes to the package tour itinerary, and they ended up being the best parts of the trip. The first was a hike to Trollsteinen, which we included in our itinerary from the beginning, and it was amazing (for those who love to hike). The second was a change we made at the last minute. On our last day we were signed up for an ATV trip, but it would have been to basically the same place we had seen the first day on the maxibus trip. We heard about a 10-hour boat trip to Pyramiden and Nordenskjoldbreen and booked it the night before. 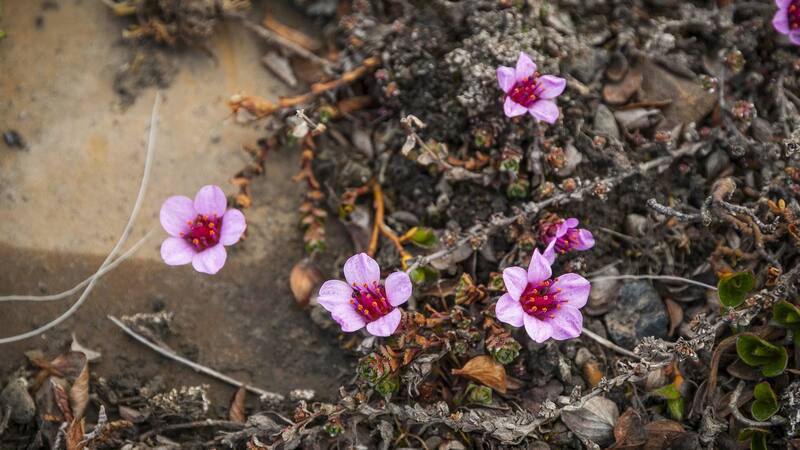 We loved this trip, with all we learned and the opportunity to see more of Spitsbergen. 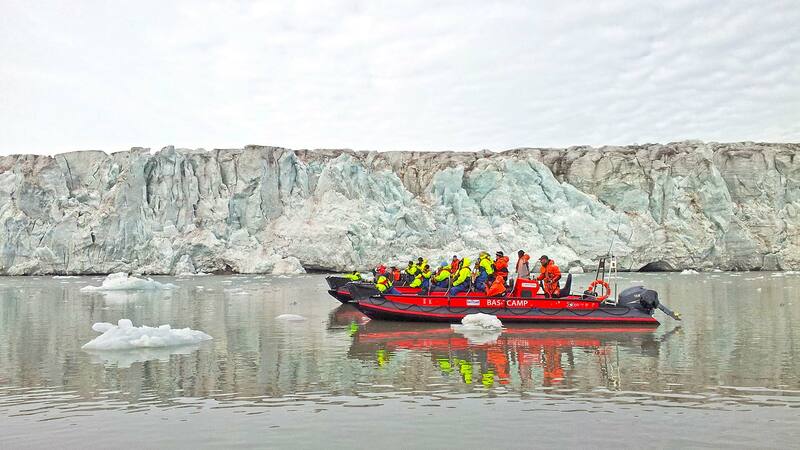 It added so much to our Svalbard experience, and we were so grateful we added this in. Something else that we really enjoyed on our trip was the Svalbard museum. It is very well done and we appreciated what we learned here. We have now used Nordic Visitor for 3 different trips. We keep coming back to you because you take such good care of us and give us the trips we want. Thanks! Our travel consultants can assist with booking air travel between Oslo or Tromsø and Longyearbyen. If needed, we can also book accommodation in Oslo or Tromsø. This tour can be customized, including additional nights in Oslo, Tromsø, or Longyearbyen on request. We can also combine this tour with other tours in Norway or other Nordic countries. Contact us for details. This tour is not suitable for young children. Travellers must be at least 12 years of age. This trip is not suitable for persons suffering from back pains. Pregnant women cannot participate on any RIB boat safaris arranged by Nordic Visitor, we take no responsibility to any health issues, due to neglecting this advice. Please note that each departure requires a minimum of 4 participants, which would include other travellers if your group is less than 4 people. 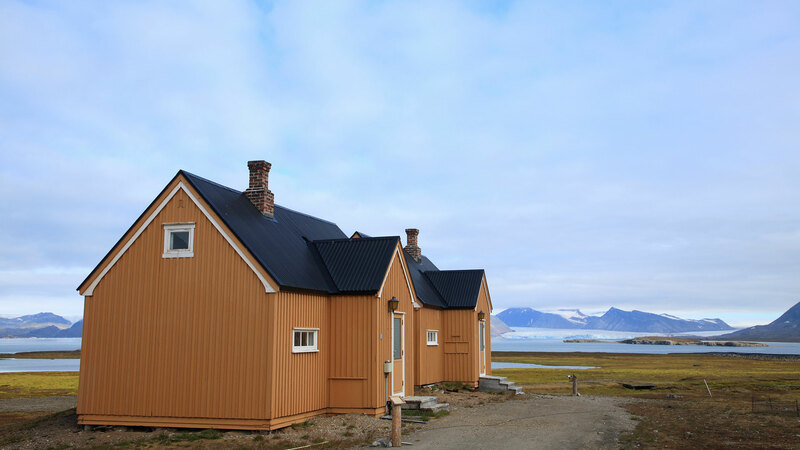 Located far from civilization on the outermost part of the Isfjord on the Nordenskiöld coast, the Basecamp Isfjord Radio at Kapp Linné is the perfect place to enjoy Svalbard’s serenity and natural beauty. Once a radio station, this newly renovated hotel offers 23 charming double rooms with shared bathrooms, dining room, and lounge with fireplace.